Anybus Wireless Bolt enables you to connect industrial machines and devices to a wireless network. 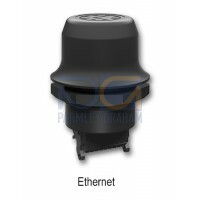 It is attached onto a cabinet or a machine to enable wireless access over Bluetooth, Bluetooth Low Energy or WLAN (WiFi). Uses the ARM mbed 3.0 IoT Device Platform.